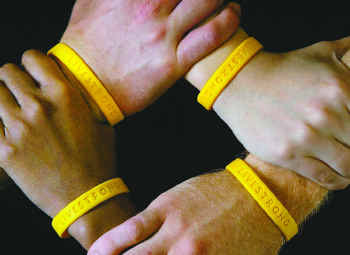 LIVESTRONG depends on volunteers on many levels. If you are in (or visiting) the Austin, Texas area, the LIVESTRONG offices put volunteers to work keeping the group going, and nationwide, advocates and activists have more than enough to do, plus huge annual events, like runs, walks, rides, and triathlons, are only as successful as the volunteer teams making them possible. Find ways to get involved here, or lend your support here. The time to conquer cancer is now–the 28 can’t wait.